One the most balanaced game at first view in Premier League this weekend will take place at Goodison Park, putting face to face Everton and Southampton. The match is part of the 31st fixture, and the odds are very balanced, as we said. Everton are coming after two wins in a row in Premier League, but they don’t have any real reason to fight for in this end of the season. The Toffees are only on the 13th position right now, with 34 points and a 38-42 goal difference, an unimpressive one, with a bad defence. The Blues have nine points over the red line, so there are no problems from this points of view right now. Oviedo, Hibbert and Pienaar are injured, while few others are in doubt. Southampton still hope to get a Champions League place, but it won’t be easy for them, considering that they have six points less than Man United. Their hopes are still alive because they have the easiest end of the season, while United and Liverpool must face some important teams. ‘The Saints’ have 53 points, being on the 6th position in Premier League right now. They managed to win 23 points in 14 away games this campaign. 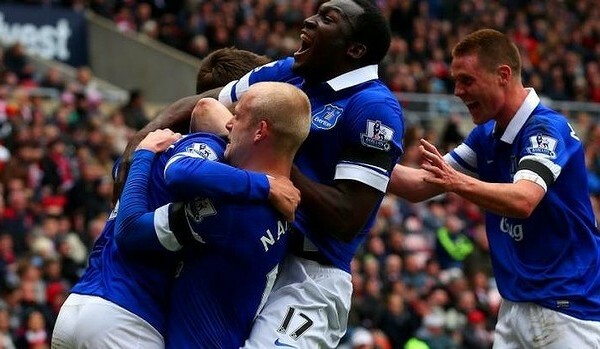 Everton (4-4-2): Howard – Coleman, Stones, Jagielka, Baines – Lennon, Besic, McCarthy, Osman – Kone, Naismith. Southampton (4-2-3-1): Davis – Clyne, Fonte, Alderweireled, Bertrand – Wanyama, Schneiderling – Long, Tadic, Mane – Pelle. Southampton need a good result more than Everton and we expect the guests to give their best this Saturday at Goodison Park, coming back home with at least one point.